Conveniently located just north of Brandon, the gated townhome community of Rego Palms features affordable low-maintenance living with easy access to the I-75/I-4 corridor and no CDD. Your family will enjoy being outdoors in the community green spaces, lounging in the tropical pool, and playing on the children’s playground, all while being just a short drive from multiple dining, shopping and recreational options. Explore Rego Palms. The life you want, where you want to live it, has never been so attainable. The Evergreen townhome balances open gathering spaces with the intimacy of family living, and a patio off the great room for entertaining in style. The Fraser townhome’s open dining and gathering areas plus second floor loft inspire comfortable living. The Ashe townhome's open concept and modern design with spacious second floor loft create comfortable gathering space for everyday living and entertaining. The gated Rego Palms community is located in the growing and highly sought after Tampa area. Enjoy splashing around in the community tropical pool, lazing poolside on the cabana seating, and playing with your children on the community playground. 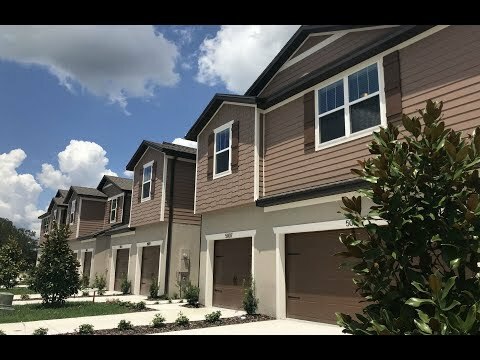 East of downtown Tampa, the Rego Palms community in Hillsborough County offers easy access to MacDill Air Force Base and the shops in Brandon. Rego Palms is near I-75, I-4 and the Tampa Crosstown Expressway, providing a short drive to Brandon Regional Hospital, the Hard Rock Hotel & Casino, and the Gulf Coast beaches. Tampa International is just 30 minutes away. Dine at the restaurants at the nearby Brandon Town Center or head west to dine in historic Ybor City, home of the Cuban sandwich. $2,000 Incentive for USAA members! * Must be a USAA member and provide member number by purchase agreement effective date. Offer valid from 1/1/19-12/31/19. *See sales consultant for details.